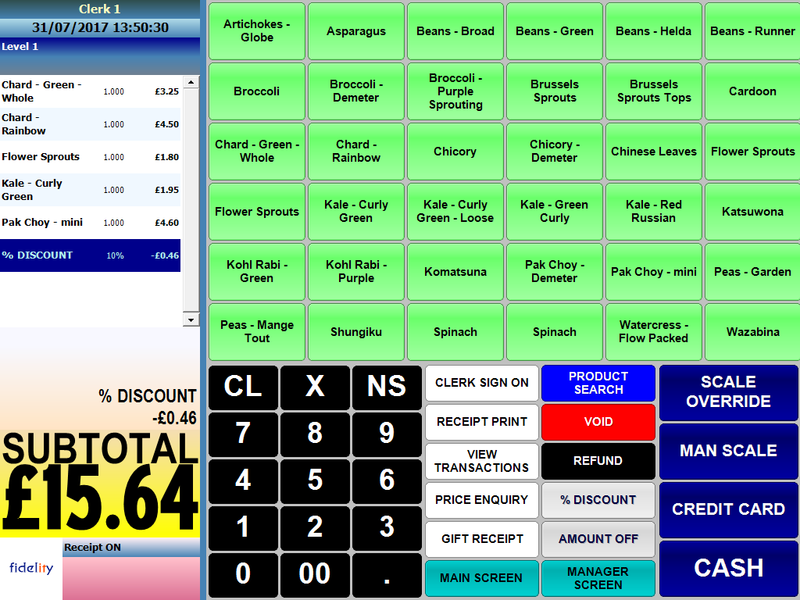 Fidelity are one of the longest established Epos software developers in the UK. 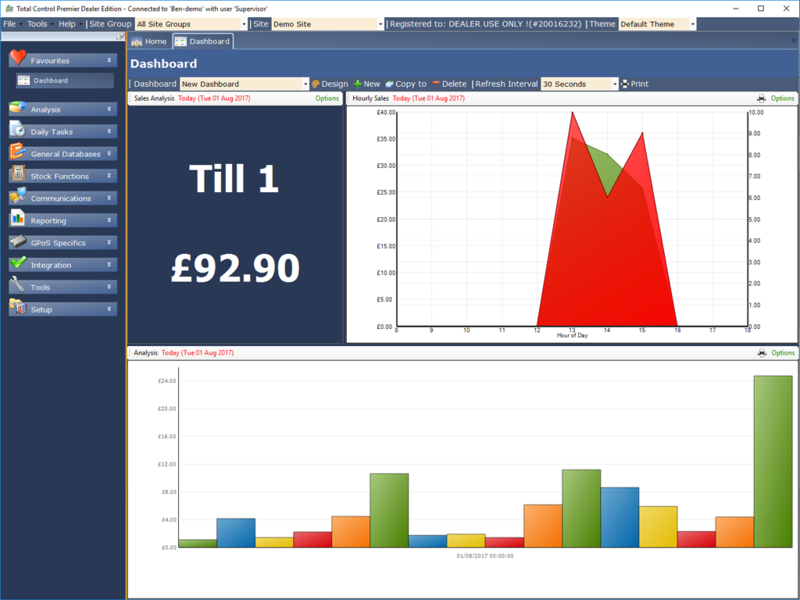 Total Control Premier gets sales data from Gpos tills to form the heart of a business. We are proud to be an authorised dealer of Fidelity products. 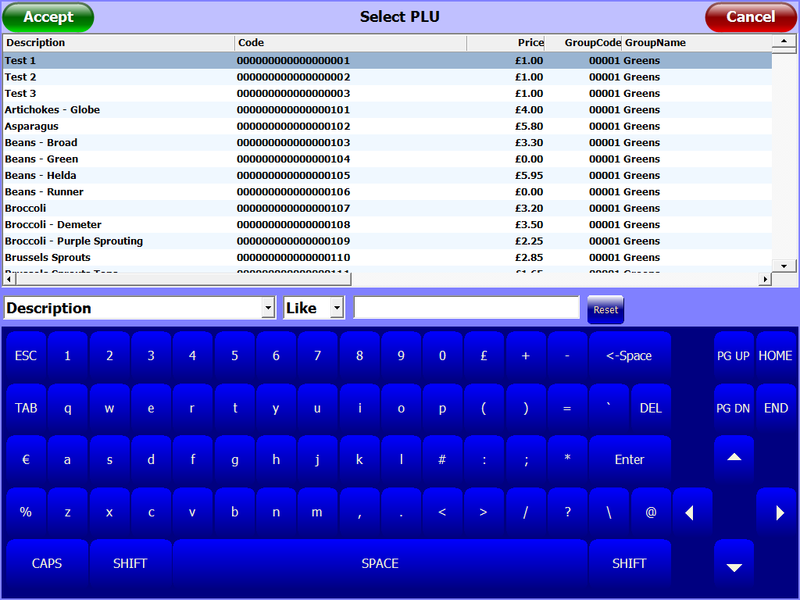 GPoS is software that runs on PC-based touch screens. It contains many powerful features to help businesses function efficiently. Products can be sold in many ways. 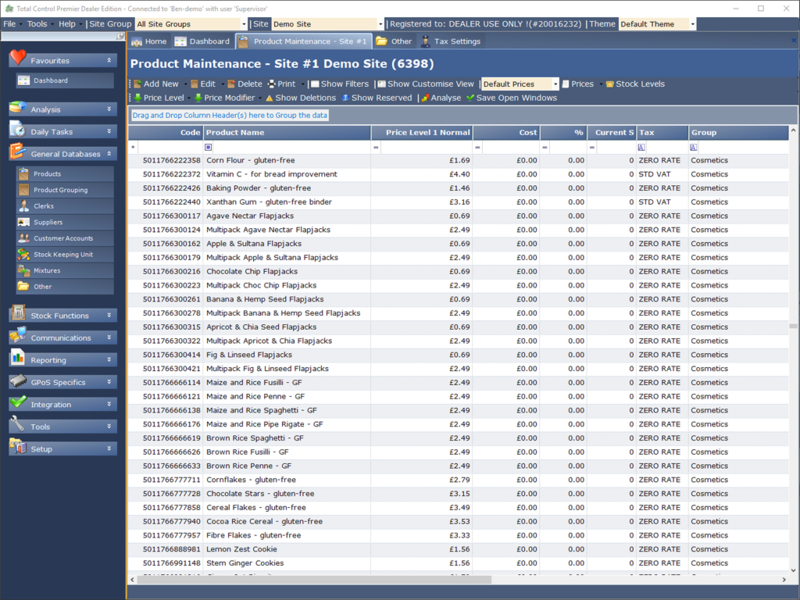 Product buttons on multiple screens, barcode scanning, or GPoS's powerful product search function. All transactions are saved to the SQL server database and can be recalled at any time to re-print receipts or refund items. Sales reports are stored for up to 7 periods. 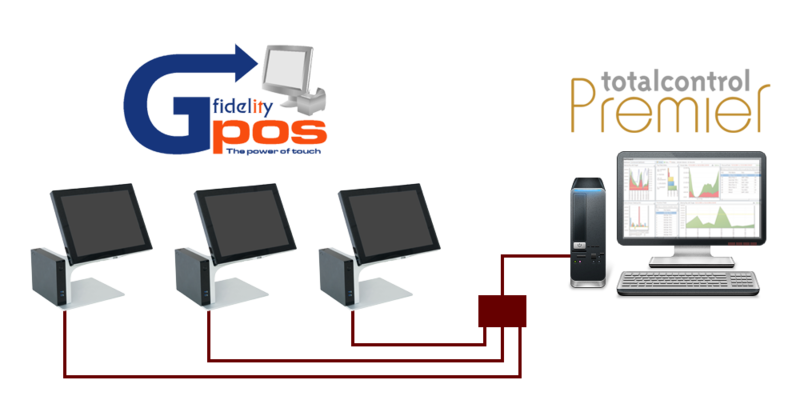 GPoS can support many types of peripherals. 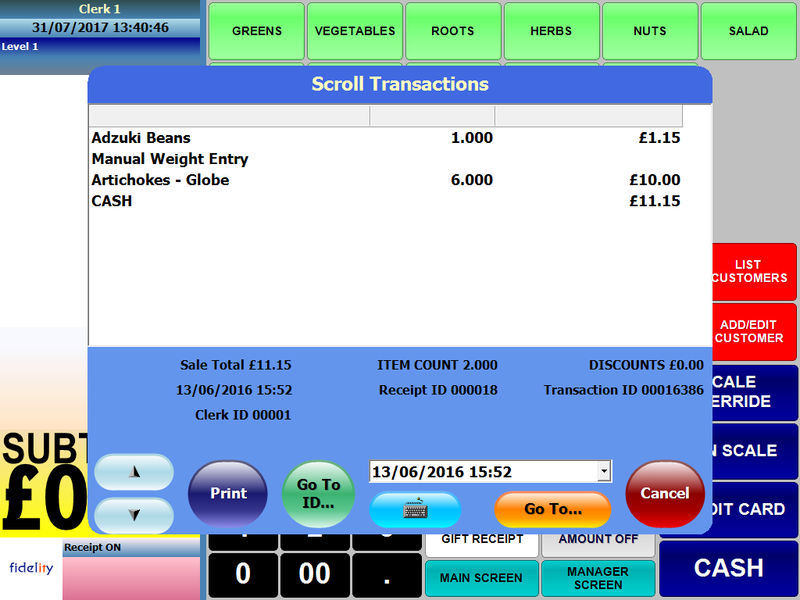 As well as printers, you can attach barcode scanners, remote displays, scales and chip & pin terminals. 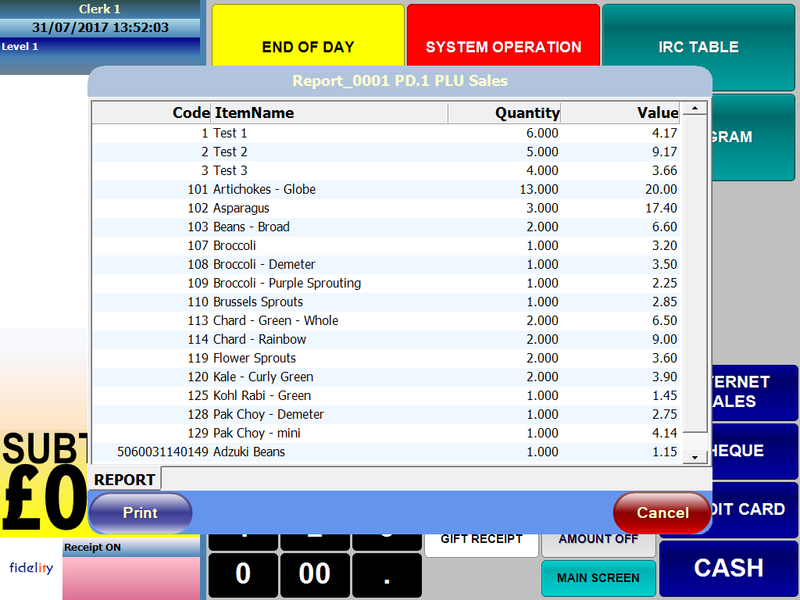 Total Control Premier is software that receives sales from and sends updates to GPoS tills. 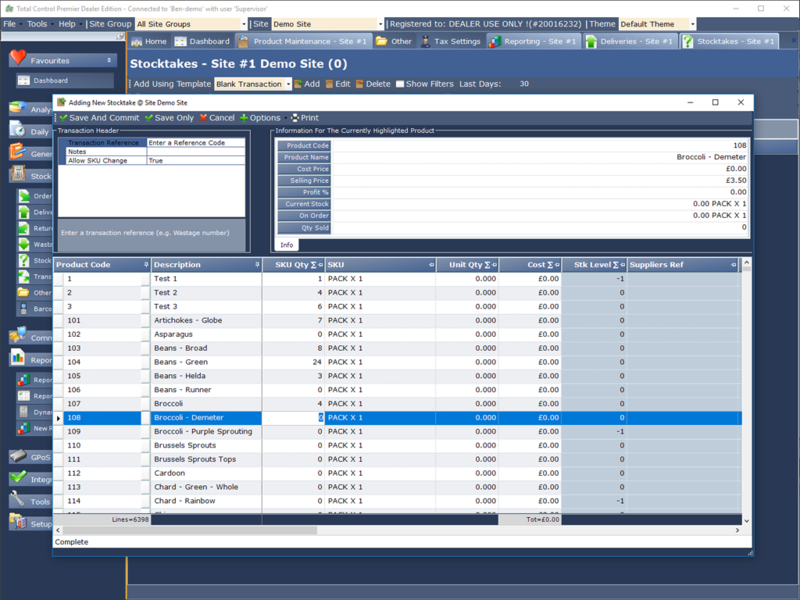 Back Office software doesn't get better than this! Using comprehensive sorting and searching, Total Control Premier can handle huge amounts of data with ease, whether it's thousands of products or hundreds of transactions per day. 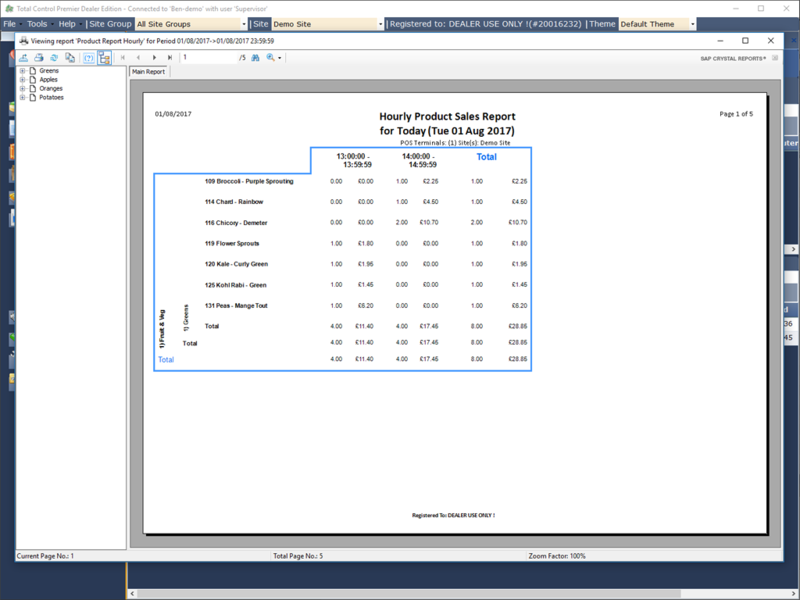 The vast amount of built in sales and stock reports can be filtered by any aspect. Reports can be displayed, printed, exported or even emailed automatically. Total Control Premier features full stock control, from automatic ordering through to stock taking. Stock taking can also be made easier with handheld scanners, or importing of excel sheets.